Enjoy four days of the best in food and wine with epic epicurean event, Pebble Beach Food & Wine. Over 75 celebrity chefs and over 250 wineries assemble at Pebble Beach to bring you the culinary experience of a lifetime. Enjoy lunches, dinners and wine tastings. Educate yourself with cooking demonstrations. Experience the most legendary grand tasting the California coast has ever seen. And it&apos;s all surrounded by the most beautiful scenery in the world. Thursday-Sunday. Pebble Beach. Various ticket prices. Sea Otter Classic returns to the Laguna Seca Recreation Area and WeatherTech Raceway Laguna Seca this weekend! This four-day "Celebration of Cycling" is regarded as the world&apos;s largest cycling festival with recreational biking, competitive events an expo and more! Thursday-Sunday. 1021 Monterey Salinas Highway, Salinas. $15 in advance and $20 at the gate. Hit the trails with guides from the State Parks system this AM! The Asilomar Ramble will take hikers through Asilomar State Beach with interesting tidbits about the coastal refuge and its correlation with famous architect Julia Morgan. Saturday and Sunday at 10am. 804 Crocker Avenue, Pacific Grove. Free event. Reserve your spot by calling (831) 646-6443. 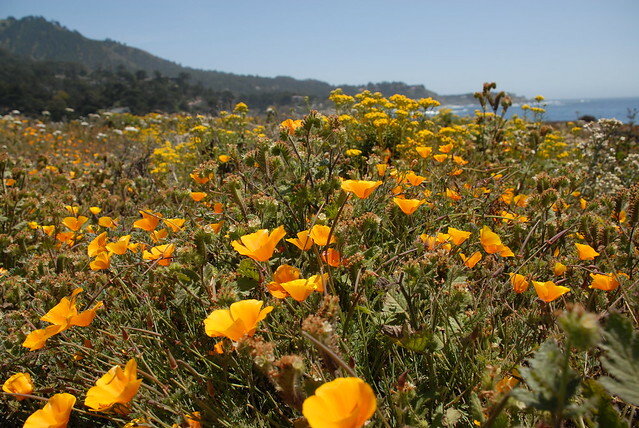 Get your bloom on with a scenic wildflower hike through the Asilomar Dunes Natural Preserve. During the docent led hike you will learn about common wildflowers in the area and the ecosystem of the dunes. 1:30pm-2:30pm. 804 Crocker Avenue, Pacific Grove. Free event. The Monterey Symphony performs their latest Sound Waves concert this weekend at the Sunset Center. Three romantic German composers are the stars of the show with works from Mendelssohn, Bruch and Schumann. Saturday at 8pm and Sunday at 3pm. 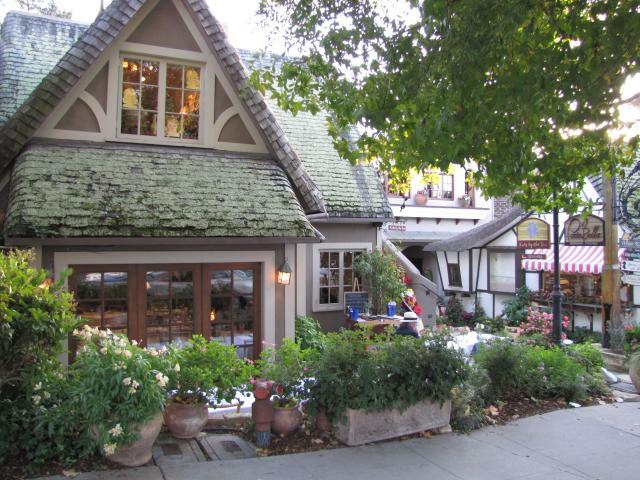 San Carlos Avenue & 9th Avenue, Carmel-by-the-Sea. $43-$84. Wine’d down the work week with live music at Folktale Winery this afternoon. Americana duo, The Rightly So, stop by for classic folk and rock with a country feel. 4:30pm-7:30pm. 8940 Carmel Valley Road, Carmel. Free event. Marianne Rowe with the Monterey Bay Meditation hosts a special retreat at the Asilomar Conference Grounds today. The Missing Link will dive into kindness and compassion as a key to healing and transformation. 10am-5pm. 800 Asilomar Avenue, Pacific Grove. $140. 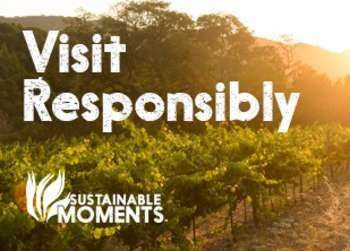 Join Morgan Winery for a special day at their Double L Vineyard in the Salinas Valley! Enjoy a guided vineyard tour and sample five of Morgan’s terroir-driven wines. BYOP (bring your own picnic) and enjoy a truly unique perspective of the Santa Lucia Highlands. 10:30am-1:30pm. 1520 River Road, Salinas. $45. Finish your weekend off with a journey through meditation. The Monterey Bay Meditation takes you through journey meditation where you will engage in different worlds in order to gain insight beyond what this world can teach us. 11:30am-1pm. 529 Central Avenue, Pacific Grove. $35. 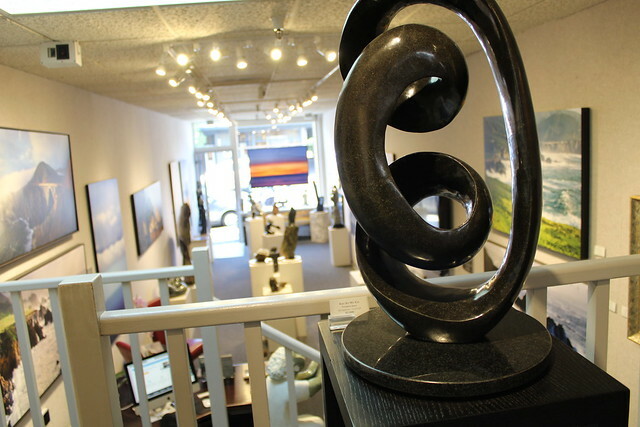 Head to SpectorDance in Marina this afternoon for the Monterey Ocean Arts Festival. The festival welcomes the entire community to experience ocean-themed visual and performing art created by Monterey Bay area youth. 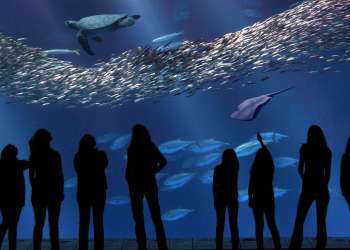 Guests will also be able to participate in family-friendly ocean education activities and enjoy live music. 2pm-4pm. 3343 Paul Davis Drive, Marina. Free event. Walking slowly and sensing the natural world can refresh, inspire and even heal our bodies, hearts and minds. Today, join the Monterey Bay Meditation does just that at Rancho Canada Regional Park. 2pm-4pm. 4860 Carmel Valley Road. Carmel. Free event. After the Monterey Symphony performance at the Sunset Center head to PortaBella Restaurant for the symphony’s Spring Supper Club. 5:30pm. Ocean Avenue between Lincoln and Monte Verde, Carmel-by-the-Sea. $75.